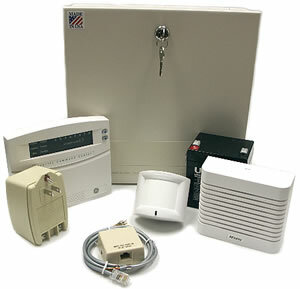 GE Security's entry level NX4 system is the baby of the NetworX product line. Features 4 hardwire zones on board with the capability to do up to 8 total wired or wireless via zone doubling or a wireless receiver. When Less is More. Simon 3 packs a new level of advanced wireless security into a console design that is smaller and more attractive than anything that has come before. Simon 3 has more "high value" consumer features; incredible new performance and built-in quality. Simon 3 proves that great things really do come in small packages! 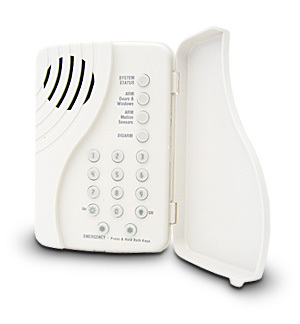 The Simon 3 Home Security System offers you a wide variety of options and accessories. You choose whether or not you want to use a monitoring system or simply have it call your phone or pager -- or it can do both! 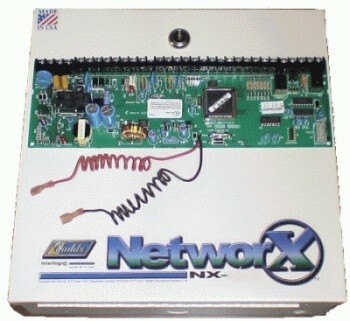 NX450 (60-670-95R Door or Window Transmitters), 2 ea. RJ Jack and Cord 1 ea. 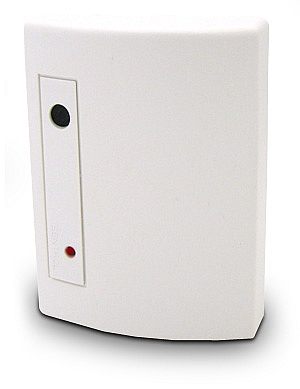 Description: Created to meet consumer demand for less conspicuous security sensors, the Micro is the smallest sensor of its kind in the security industry. 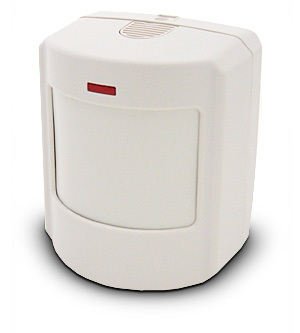 Description: Wireless flexibility allows door/windows protection even where the sensor must be totally concealed. The sensor is placed in the door frame and the magnet is located in the door. 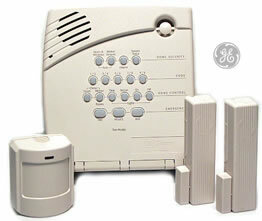 The GE Wireless Shatter Pro Series provides excellent false alarm immunity without compromising detection. 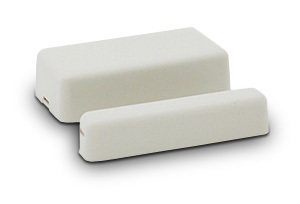 It is ideal for applications where hard wired acoustic sensors are impractical. 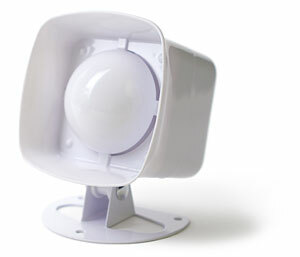 20' radius range can protect an entire room with one sensor. Recognizes the actual pattern of glass breaking across the full audio band. User can test sensor operation with a clap of the hands. 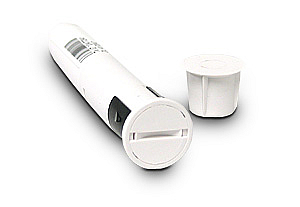 GE Wireless photoelectric smoke alarm with Clean Me remote maintenance alert, Learn mode, test/silence. This detector offer the best life safety protection you can get because it detects the most dangerous type of fire - the slow, smoldering fire that creates a lot of deadly smoke. 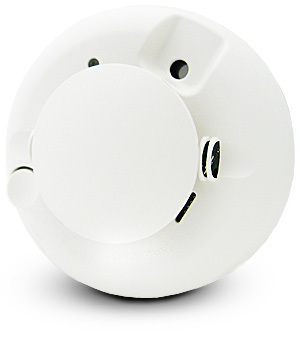 The advanced sensor sounds the alarm at the first sign of smoke, giving occupants time to escape. The ITI Rate-of-Rise Heat Sensor detects danger in areas where high heat may normally occur, such as in kitchens or attics. Simon 3 is not only the world�s most advanced wireless security system, it is also the easiest security system to install and operate. From hassle-free installation, to ultra-sophisticated sensor design and a full range of innovative "user-friendly" features, Simon puts the power of new technology at your command like never before. When it comes to helping you protect the things you value most; Simon is simply your best choice. Simon 3 features the most sophisticated security and home automation options ever offered in an entry-level wireless security system. And it's easier to use than any other system on the market. Simon talks, telling you in plain English the status of your system and the location of an alarm. 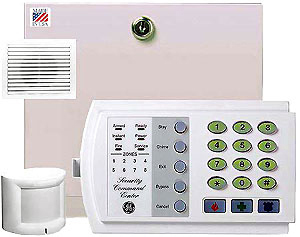 Its pager capability provides peace of mind for working parents with children at home. 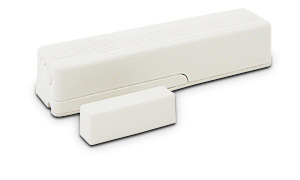 Light, appliance, and garage door operation add automation convenience at an affordable price. 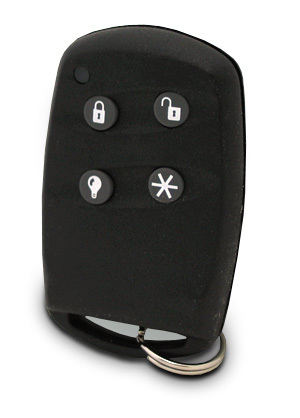 Wireless keychain touchpad control makes system operation as simple as can be.